If you work at an organization that creates entertainment, marketing or communications content, then it is highly likely your company has suffered from issues around its intellectual property (IP) rights data. If any (or all) of these scenarios are sounding too close to home, then you’re in luck. We’ve created a 5-step process that can help your organization analyze and define solutions for IP rights data. At KlarisIP, we’ve helped clients address these exact issues head on. So this is a proven formula to both improving your data and unlocking the value of your intellectual property. Rights information largely originates with the creation of a legal agreement. This can be in the form of a contract or deal memo. When you get your legal team to define their authoring and negotiation processes, you have taken the first major step toward managing your information flow. When analyzing this information flow, look at the policies and procedure that are in place. This can include approvals, cutbacks, amendments, gives/alternate clauses, etc. By understanding the foundational business processes that drive your IP rights data you will be ready to start the second step of standardizing your contract language. The other major benefit of this first step is EMPATHY. At a minimum, having the legal teams work with the IT team starts a necessary dialog toward collaborating and working toward a common goal. If contracts are where rights information originates, then contract language is where rights data lives. By identifying common contract templates, clauses and terms you’ll be able to start identifying the key patterns of rights and restrictions in your contracts. Once these patterns are detected they can be mapped to a standard rights model or tree. Even better yet, if agreements can be authored in a common set of templates and clauses, then it will be much easier to define and maintain your IP rights data in the long run. We acknowledge the act of standardizing contract language is easier said then done. At KlarisIP, we are a mix of lawyers, process and technology specialists, so we fully understand that that this recommendation may only apply to 60-80% of your contracts. Though, even if 20-40% of deals are bespoke, at minimum analyzing contract language and mapping templates to a common data model will ensure data consistency and streamline how you capture and exploit this data in your rights management system. Once data terms are identified through the analysis and mapping exercise, take time to look at industry standards relating to territory, language, media, business model and means of delivery. We always ask – why reinvent the wheel when you can use existing rights data standards? These standards groups have spent considerable time, money and energy creating these open source IP rights data models, so it’s well worth your time to see what they have created. There are a number of different industry standards around rights. These include metadata and taxonomy vocabulary standards such as ODRL, PLUS, MPEG-21, PRISM and ISO. While these standards likely won’t meet all your needs, they are a great foundational building block to choose rights fields and build out your business specific rights trees. So curate out the rights terms that you need and avoid reinventing the wheel. The procurement of rights management system is critical to storing and unlocking the value of your rights data. Too many organizations try to use spreadsheets to manage vast troves of IP rights data. This inevitably leads to a number of serious issues around data integrity and discoverability of data. Avoid the mistake of storing this data in a non-rights system. Modern intellectual property rights management systems are fully featured cloud based solutions. They contain features that allow users the ability to store, search and report data. Features around content availability reporting and APIs allow these systems to provide business insights that drive licensing, content distribution and ultimately monetization. So start looking at vendors which provide data bases, business logic and other solutions to manage your IP rights data. At this point you have your data in order, so having the tools to optimize your revenue opportunities is paramount. As the popular saying goes “garbage in, garbage out”. Rights management systems are only as good as the data you put in them. If your data is missing, incomplete or incorrect then you must put controls in place to stop these issues. This is where data governance comes into a play. Governance provides a set of processes and resources to ensure the quality of the data. Regardless of whether you have the greatest rights data model ever created, it is critical you have the resources to apply it and oversee it. Therefore, take the time to identify and empower roles and responsibilities for governing your IP rights data. This effort will pay huge dividends for your business, whether you hire people yourselves or hire a managed services firm that can handle rights management on your behalf. By having the right governance model you will ensure IP data is exploited and your staff’s time and energy is not wasted. This concludes our 5 step process. 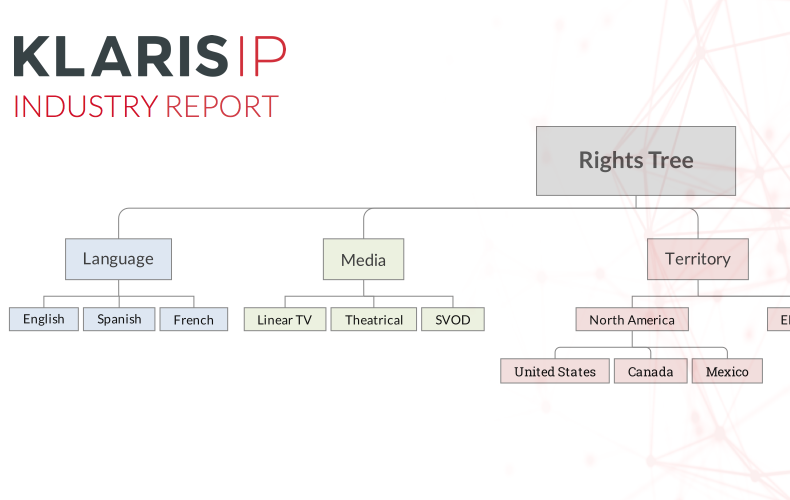 We hope this provides a guide post to improving your IP rights data. If you are interested in putting this process into action. You can download our 5 Step Checklist here. Copyright © 2014–2019 KlarisIP. All Rights Reserved.